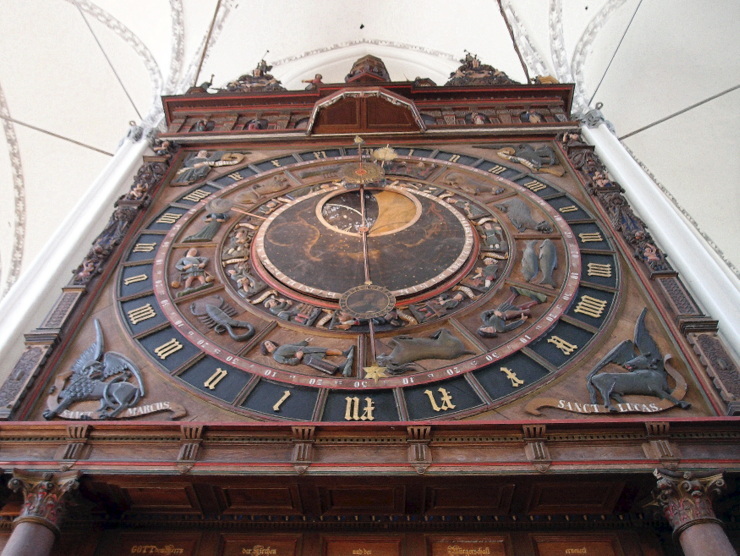 This astronomical clock was built in 1472 by Hans Düringer and is the only one of its kind still in working condition with its original clockworks. It is placed in St. Mary’s church (Marienkirche), the biggest of three town churches found in the Hanseatic city of Rostock. A fascinating detail of the clock is this calendar showing each date from 1885 up to 31st Decemer 2017. Beside religious dates there are also details like the time of sunrises for each day mentioned. The current calendar disc is already the fourth one. 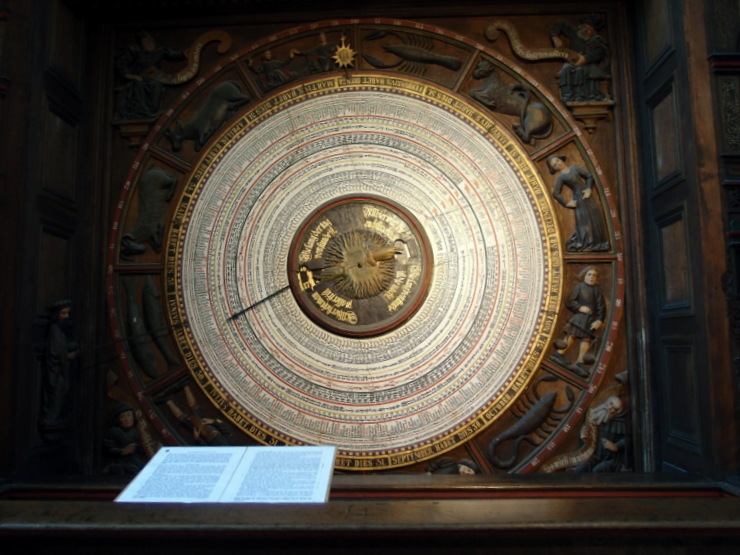 The first calendar disc started around 1470/72. This entry was posted in Public Clocks and tagged Germany, Mecklenburg-Vorpommern, Rostock by Travelwriticus. Bookmark the permalink.